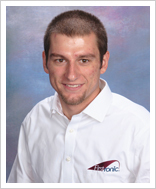 Merry brings a mix of technology and business experience to Firstronic. She is also Board Secretary for Cynba International. Previously, she was the CFO and Board Secretary/Treasurer for Data Techniques, Inc., a custom accounting software developer. She is involved in real estate investment and management activities. Active in her community, Merry has also served on the Houghton Lake Community Schools Board of Education. She received her Bachelor of Arts degree in business administration from Sienna Heights College. Peter brings a solid mix of manufacturing and financial expertise to Firstronic. Prior to joining Firstronic, Peter was active in a number of the Barclae family’s investment holdings. He served as Quality Manager and later General Manager of Cameo Color Coat in Detroit, MI, a specialty coatings company that provided electric deposition painting to the automotive industry. He was vice president of Pigeon Manufacturing, a metal stamping firm in Pigeon, MI. He was part of the executive team at Shadyside Metal Stamping, in Shadyside, OH, a manufacturer of body panels for the automotive industry. He has also been involved in managing his family’s commercial real estate, multi-tenant facility and hospitality industry-related properties. He received a Bachelor of Science degree in electrical engineering from Lawrence Technology University. He pursued studies toward a Master’s degree in finance at Lawrence Technology University and Walsh College. 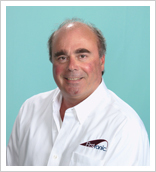 Prior to joining Firstronic, John served as CEO of Live Sports Radio LLC for 3 years, a private-equity backed business. He also served as President and CEO of EPIC Technologies, LLC, a multinational EMS company for nearly 10 years. He led the Company’s growth from $3 million (through its predecessor business, CCI), to nearly $300 million in annual revenue, while achieving industry-leading levels of profitability. In 2006, he was the recipient of the Ernst & Young Entrepreneur of the Year award in the Technology category for the Midwest Region. 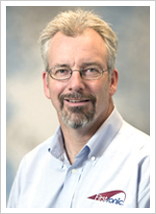 Prior to joining EPIC, he was responsible for TMW's investment platform strategy in electronics manufacturing. He joined TMW's company Electro-Wire Products in 1990 as Manager of Market Development Engineering for the EMP division of Electro-Wire which achieved revenue growth from $6 million to $30 million by 1992. John was also responsible for European Business Development from 1993 to 1995 during which Electro-Wire acquired a German electrical distribution system manufacturer with annual revenues of $120 million. Prior to joining Electro-Wire, he held several positions at Ford Motor Company from 1986 to 1990. He holds a Bachelor of Science degrees in Electrical Engineering and Industrial Management from Lawrence Technological University and an MBA from INSEAD, the European Institute of International Business. Jochen joined Firstronic’s Board of Directors in 2013 and was named COO in 2017. Previously, he served as CEO of IBL Technologies. Jochen has both electronic and business degrees, and has spent over 20 years in the EMS industry, serving as COO of EPIC Technologies for half that time. While at EPIC, he was part of a team that grew the company from 250 employees in one factory to over 2,700 employees in six factories with sales of nearly $300 milli on. In recognition of that effort, he and John Sammut were jointly awarded the Ernst & Young Entrepreneur Of The Year® 2006 Award in the Technology category. 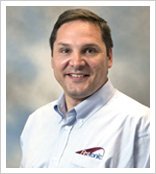 Prior to joining EPIC, he was associated with Alcoa Fujikura, Ltd (AFL) as Operations Manager, where he was responsible for launching their electronics manufacturing operations in Juarez, Mexico in support of automotive industry customers. He was earlier responsible AFL’s electronics manufacturing operations in Germany and also launched two manufacturing facilities in Hungary. 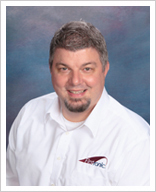 Prior to joining Firstronic in 2014, Steve served as Vice President of Manufacturing for IEC Holden, a Montreal based company that specializes in electrical rotating equipment for the railroad, oil and gas, and mining industries, with plants in Montreal, Canada; Plattsburgh, NY; and Zacatecas, Mexico. He also served as Vice President of Operations for EPIC Technologies, an EMS company with operations in North America and Europe for over 12 years. During his tenure the company saw revenue growth from less than $30M to $300M and plant expansion from one plant in Ohio to five facilities in Ohio, Texas, Mexico and Romania. Before joining EPIC, Steve served as Director of Operations for Flextronics in Binghamton, NY, a $110M annual facility with focus on telecommunications and industrial metering. Prior to that, he was Product Engineering Manager for Advanced Products at TRW Automotive’s Marshall, IL facility. Steve has an engineering background with degrees in Electro-Mechanical Engineering from RIT and Electrical Engineering Technology from Indiana State University. 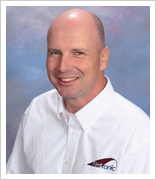 Steve’s passion is manufacturing and he has been involved in OEM or EMS manufacturing since 1986. Wally Johnson joined Firstronic in 2013. Previously, he ran a supply chain consultancy. In that capacity, he led a project to implement greater use of Lean philosophy in Firstronics' supply chain. 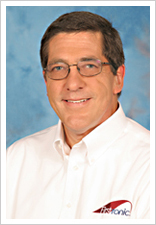 He was earlier associated with Spectrum Assembly, Inc. as vice president sales and marketing. He also served nine years as vice president of supply chain and IT at EPIC Technologies and held a variety of senior supply chain management positions at both Visteon and Ford Motor Company. Wally holds an MBA degree in Finance from The University of Michigan, an M.S. degree in Computer Engineering from Wayne State University and a B.S. degree in Electrical Engineering from Michigan State University. 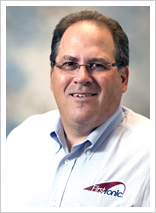 Pat started out as the engineering manager for a contract manufacturer in 1986. Over the course of his career, he has worked as production manager, quality manager and director of operations. He holds a B.S. degree from Michigan State. As Firstronic's VP Business of Development, he brings to the table vast knowledge of the contract manufacturing environment and can personally assist you with many aspects of your project. Jeff joined Firstronic in 2016, brings 35 years of manufacturing finance experience and has held finance management positions in several industries in the West Michigan area including automotive stamping tool and die and plastic parts manufacturers. He holds a Bachelor’s of Science degree in Accounting from Michigan State University. 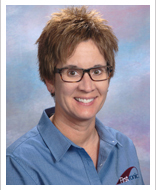 Sandy has over 20 years of experience in the contract manufacturing industry and holds a Bachelor of Science degree in Marketing Sales from Ferris State University. Previously, she was Director of Program Management & Grand Rapids Plant Manager. She earlier held positions in pl anning, program management, and quality. 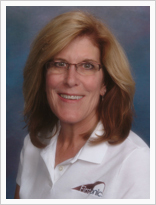 Prior to joining Firstronic, Sandy was the Quality Manager for an EMS company in Gaylord, MI. With her Six Sigma Black Belt certification, Sandy brings a strong commitment to ensuring efficient operational processes in line with a Quality Management System that must support diverse customer requirements. Sandy believes that when quality is continually embraced by everyone, it results in a cultural transition to an atmosphere of continuous improvement. "We arm our people with a clear purpose and direction. If you provide them with systems, tools, training and techniques that they can apply to their daily activities to effectively take ownership of workplace and process improvements, and continuously improve the value of products and services that we delivery to our customers, then great things happen. That’s called Manufacturing!" Tina joined Firstronic in 2017, bringing experience in Human Resources, Accounting, and Information Technology, with the last 10 years most focused on HR. 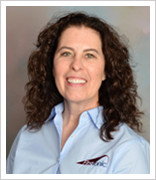 Prior to Firstronic, Tina was an HR Business Partner with a global furniture manufacturer in Holland, MI; an HR Manager for the West Michigan Whitecaps & Berlin Raceway; and the Controller and HR Director of a large, privately-held, commercial insurance agency in Grand Rapids. 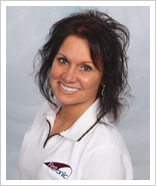 Tina holds a Bachelor of Science degree in Business Management from Cornerstone University, as well as SPHR (Senior Professional in Human Resources) and her SHRM-SCP (Society for Human Resource Management – Senior Certified Professional) designations. Maurice has been in the electronics industry since 1986 and has held positions within production management, document control, quality engineering, program management, and engineering. This gives him a balanced understanding of customer challenges and process controls. His leadership and background, coupled with his technical expertise will ensure all aspects of your engineering projects will be attended to with competence and diligence. 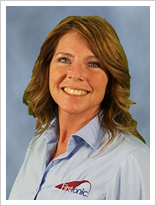 Becky Lutz joined Firstronic as Account Director in 2015. In this role, she serves as the strategic account lead for key accounts, responsible for launch, organic growth, financial performance and customer satisfaction. Previously, she served as Strategic Account Manager for EPIC Technologies. She was earlier associated with Jabil Circuit and PG Design Electronics as a Program Manager. She received her Bachelor of Science degree at Ferris State University. Keith joined Firstronic in 2011 and has over a decade of production management and process development experience in both electronics manufacturing services (EMS) and OEM production environments. 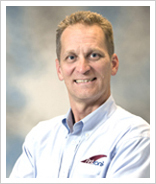 Previously, he was the Grand Rapids Production Manager and has significant training and experience in Lean manufacturing and other manufacturing process improvement techniques. Throughout his career, he has been heavily involved in continuous improvement initiative implementation. 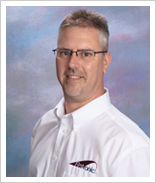 His manufacturing experience includes production environments assembling a wide range of mission-critical products. Brad joined Firstronic in 2010 and held positions in supervisory and staff positions in production, production planning, quoting and purchasing, prior to being named Materials Manager. Prior to joining the Company, he worked in a supervisory role in the construction industry. He received a Bachelor’s degree in Business Administration from Ferris State University. Kelly joined Firstronic in 2007. She has nearly a decade of experience in cost accounting-related positions and, as a result, brings a strong focus on efficiency and eliminating non-value costs to her customer management position. Her professional experience in broad range of companies gives her the ability to quickly address customer needs in a fast-paced environment. She also serves as Firstronic’s representative in the MIDevice Consortium, which is focused on providing integrated supply chain solutions to the medical industry. She was earlier associated with Industrial Vacuum Systems, Inc., Baudville, Inc. and Blue Water Travel Inc. She holds a business management-related degree from Baker College.